Experience everything the Arctic has to offer in the winter months. The town of Ilulissat, 300 km north of the Polar Circle is THE place to explore winter pursuits such as dog sledging and iceberg cruising – all whilst staying at the comfortable 4-star Hotel Arctic. 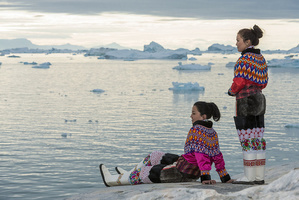 Travel to West Greenland and become a pioneer and explorer. Experience a dog sledge tour, a winter hike to the ice fjord, a visit to a Greenlandic home, a cruise between giant icebergs and a trip to a remote Inuit settlement. 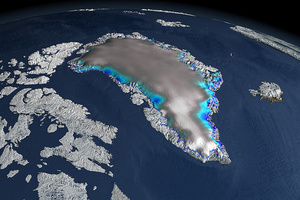 Ilulissat in West Greenland is an Arctic winter wonderland. Search for northern lights, sail between enormous icebergs, dress up in a polar suit fur and explore the wilderness by dog sledge. 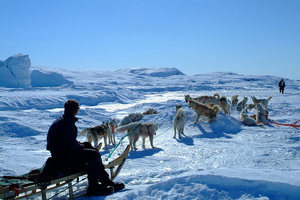 Travel by dog sledge with your Inuit hunter to isolated villages or to the fishing grounds on the frozen fjords is a journey into world of the old polar explorers. Iceberg cruises on the Ilulissat fjord provide the perfect opportunity to get close to these gigantic sculptures created by nature. Are you ready for the adventure?